We MPS teachers have our unique MPS teaching Philosophy and adopt Ignatius Pedagogical Paradigm. We make our effort in designing learning activities which cater for student diversity in abilities, interests and needs (Context). We aim at providing diverse learning experiences to our students (Experience). The learning activities have to be “Motivating” which keep our students’ attention and engaged. The learning processes have to be “Interactive” which involves interaction among peer to allow more collaboration and foster interpersonal communication. 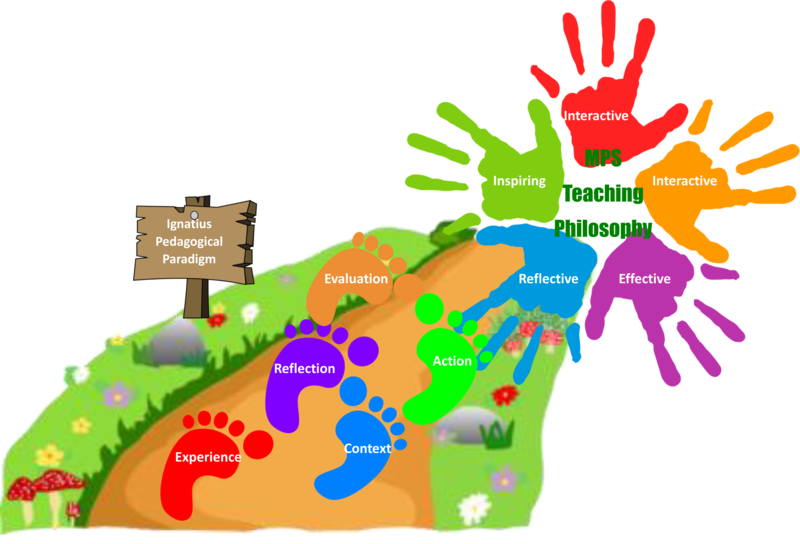 The activities have to be “Effective” and meaningful to our students’ learning (Action). We MPS teachers aim at designing learning tasks to be “inspiring” so that our students get click after completing the tasks and continue to explore more after school. Both our MPS teachers and students are “Reflective” as we strive for MAGIS. We reflect on our progress, our strengths and weaknesses in the learning and teaching processes and aim at moving further to learn endlessly (Evaluation and Reflection). We believe that students should be given ample opportunities to apply what they have learned as well as analyzing and creating. We MPS Teachers make effort in enhancing our students’ High Order Thinking (HOT) through questioning techniques and task design. We believe that there should be alignment with Learning, Teaching and Assessment. 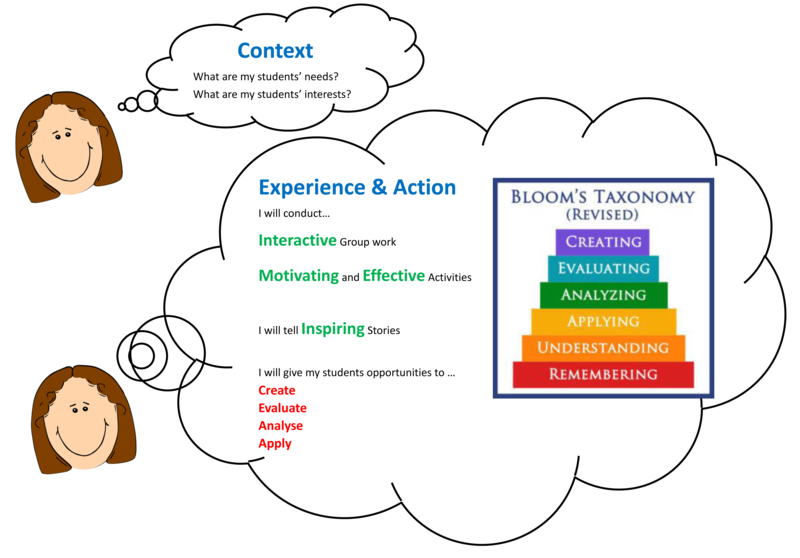 We design our learning activities and assessment based on our teaching objectives using Bloom’s Taxonomy. We do not solely rely on pen-and-paper assessments, but also other modes of assessments such as projects and oral presentations. We develop our school-based curriculum according to our students’ strengths and needs. We enhance our students’ problem-solving skills and creativity by adopting STEAM education through Coding Education, Science Experiments and Cross-subjects Project Learning. We strive for our excellence in unleashing our students’ potential to become MPS Thinkers, MPS Makers and Presenters. 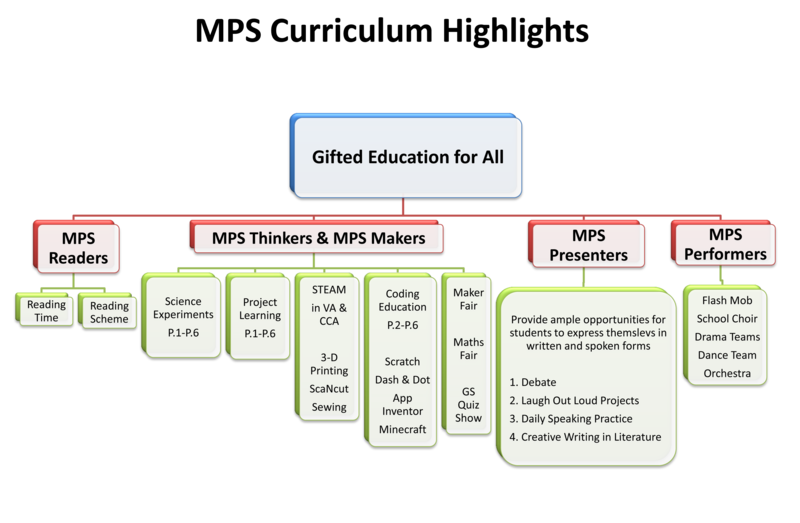 MPS Maker is able to invent/create new things such as writing stories/scripts, composing music, making handicrafts, making DIY projects, building robots, making short video clips, creating e-books, creating animated cartoons, designing digital games and board games etc. MPS Presenter is able to express themselves well in public speaking and writing in both English and Chinese. MAGIS is a Latin word that means "more" or "better." MAGIS refers to the philosophy of doing more, for Christ, and therefore doing more for others. Address: 336 Tai Hang Road, Happy Valley, HK. © 2016 Marymount Primary School All Rights Reserved.